Meg Cabot does is again! 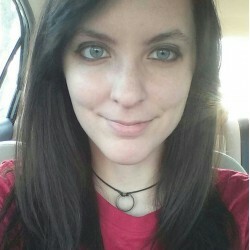 She was able to create a story which I thoroughly enjoyed and had me laughing the entire time. 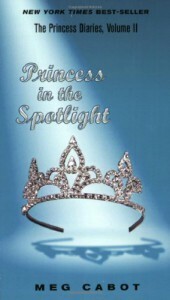 Princess in the Spotlight is the second volume of Cabot's Princess Diaries series. In this book, Mia continues to struggle with accepting the fact that she is the heir to the small European country of Genovia. Mia still doesn't want to become a princess, but she still has little say in the matter. She has begun some of her royal duties, such as being interviewed on a high profile talk show, and of course, continuing her princess lessons with her Grandmere. To add to Mia's stress and anxiety, she learns her mother and Algebra teacher are going to have a baby! This of course leads to the marriage of Mia's mother and Frank. The couple wants a simple wedding done at the city court house. Unfortunately, once Mia blurted out the news on television, her Grandmere decided she was going to plan the wedding. SHe believes the mother of the only heir to Genovia's throne needs a fancy wedding. Also, since Mia's mother is getting married, her grandparent's from her mother's side come to town. Which is a big deal because apparently they have never left their small town in Indiana. WIth them, they bring along Mia's cousin Hank, who instantly stirs up interest at Mia's school. I love the style of writing Cabot uses; they are all written in Mia's perspective as diary entries. It's easy to read, and flows. naturally as if a real teenager had written it. Overall, this book was just as light and fun as the first one. I look forward to reading volume three.